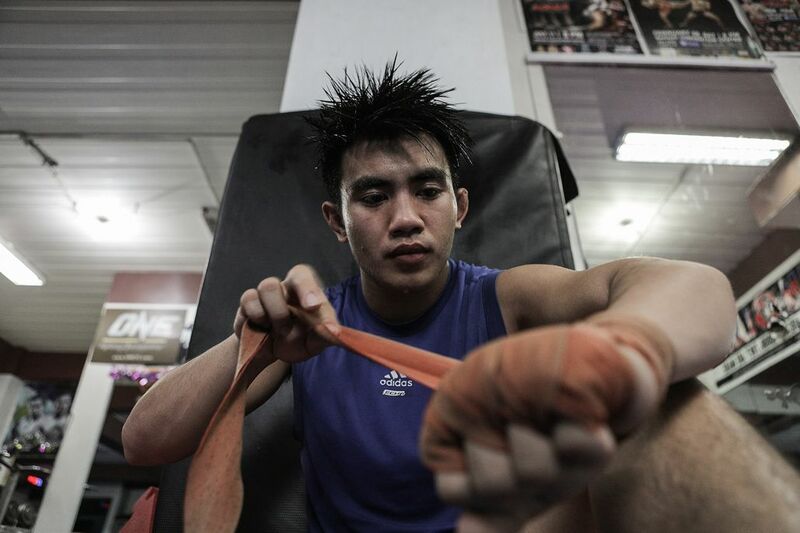 Joshua Pacio wants to be just like his role model and teammate, former ONE Lightweight World Champion Eduard Folayang. 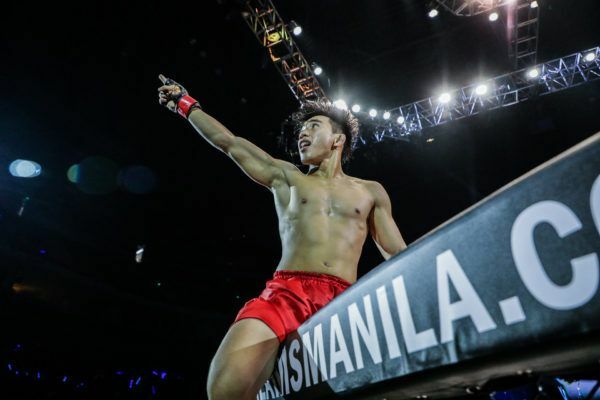 The 21-year-old Benguet, Philippines, native may be one of the younger competitors in the organization, but he has already emerged as a seasoned leader in one of the most well-respected gyms in Asia, and could be the next martial arts superstar of the Philippines. After all, it’s not often a 21-year-old has 12 professional bouts to his name, much less a world title shot. Pacio credits his rapid rise to his personal hero, who he has the privilege of training with every day. 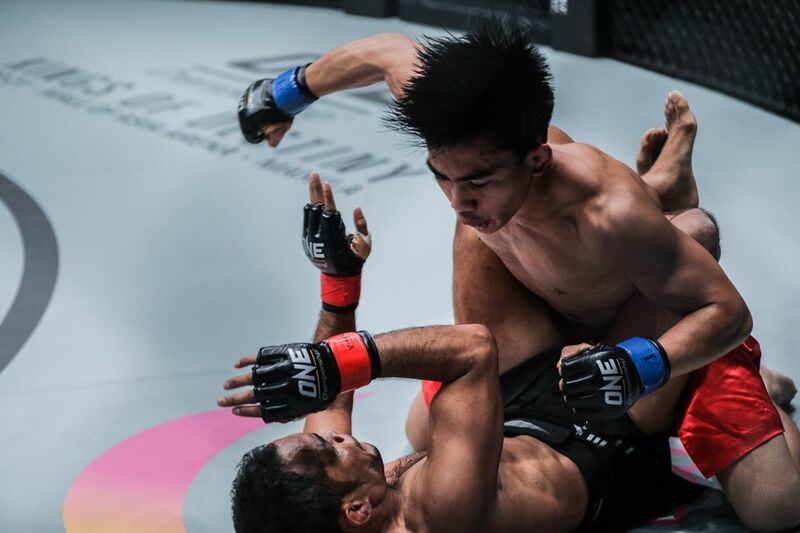 He witnessed first-hand how Team Lakay’s elder statesman Folayang rose above poverty, and endured a tumultuous period of uncertainty in his martial arts career before becoming one of the brightest superstars and most beloved titleholders in ONE Championship. 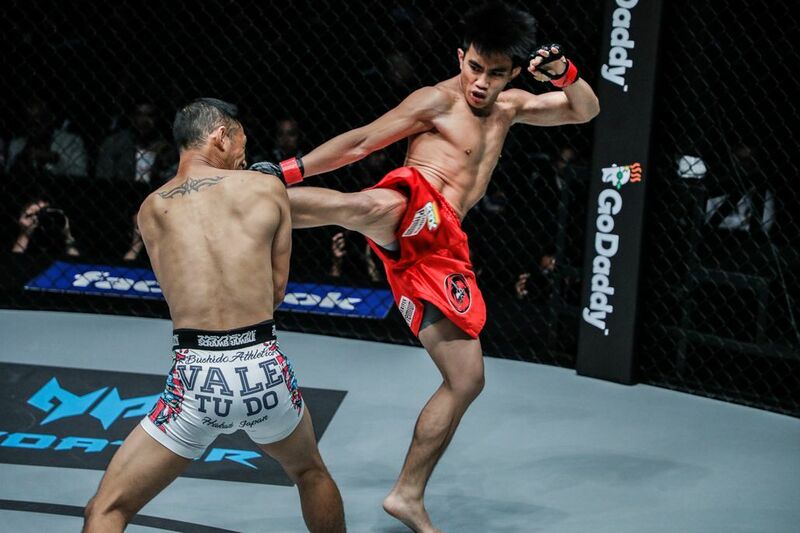 “Before he (Folayang) got the belt, he went through a lot of ups and downs in his career. He was beaten and was knocked out twice, but I saw the fight still burning in him,” Pacio says. Pacio is a determined individual. When he puts his mind to something, he has the ability to persevere and push forward until he achieves his goal. For better or for worse, that’s been a constant theme throughout his life. Growing up in the La Trinidad, Benguet, part of the Philippines, Pacio had a few obstacles to overcome early in his childhood. For starters, his father left the family, relocating to Israel for work when Joshua was only 6 years old, leaving his mother to raise him as a single parent. “It’s hard on her part, because she thought that when I grew up I would have a bad attitude because I had no father,” he says. Also, at the age of 10, he suffered from childhood obesity, which is hard to imagine given the strapping young man the world sees today. Thanks to his uncle, who used to compete in Muay Thai, he was introduced to martial arts. Pacio was immediately inspired, and in a way, found a new father figure of sorts. At 11, Pacio began training in Muay Thai and kickboxing under the tutelage of his uncle, and dropped 9kg rather quickly. By 13, he had moved on to wushu, and then competed at the 2010 Wushu Nationals just a year later. 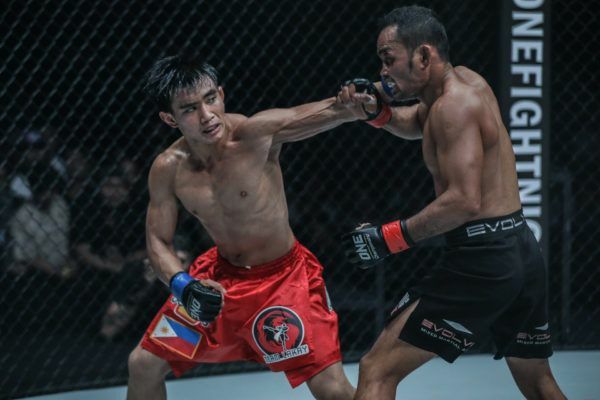 Soon, after entering high school, he heard about the famed Team Lakay and watched hometown hero Honorio Banario elevate his professional career in Filipino martial arts by becoming champion of a local promotion. That’s precisely when he started falling in love with martial arts. While beginning his education at the University of Cordilleras in 2013 as a Hospitality Management major, he also started competing on the school’s wushu team, which was trained by Team Lakay founder and head coach Mark Sangiao. 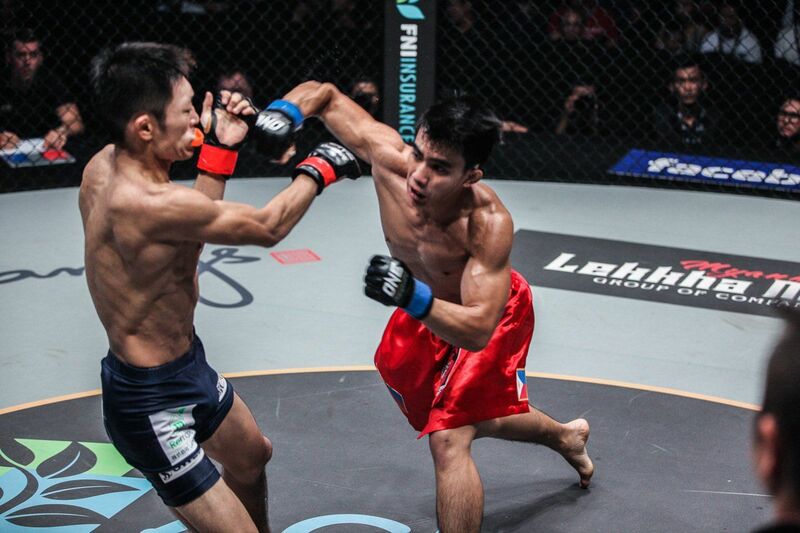 He caught Sangiao’s eye, and soon joined the Philippines’ leading martial arts team in anticipation of his professional cage debut. He made the plunge in December 2013, rattled off six consecutive wins in the next two and a half years, and finished all of his opponents with relative ease. Then, he was pleasantly surprised when he got the call to sign for ONE Championship. By that time, he was barely 20. Since joining Team Lakay, Pacio’s skills have advanced to new heights, especially in the wrestling and jiujitsu departments. Those improvements have been on full display throughout the course of his career. 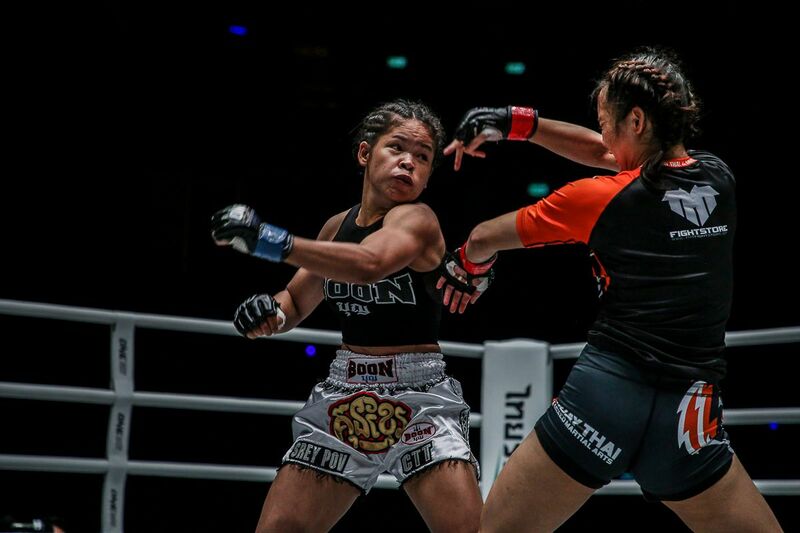 In fact, the most shining example of his perseverance and enhanced mat talents might have been against Kritsada Kongsrichai at the ONE: HEROES OF THE WORLD card in Macau. There, he showcased his ability by surviving an early grappling clinic from the national wrestling champion, later defeated him at his own game. That was a submission finish that certainly made a statement. “Team Lakay is very special, because in past years we failed a lot, but we just thought positively. We train hard and those losses serve as lessons to us. We just don’t take it negatively. We train in what our weaknesses are,” the Filipino states. That combination of his hot streak and impeccable skills earned Pacio a shot at Yoshitaka “Nobita” Naito’s strawweight belt. It was something he almost couldn’t believe was happening. The bout took place at ONE: STATE OF WARRIORS in October. Pacio initially held control, stuffing nearly all of the unbeaten champ’s takedowns and battering him on the feet. 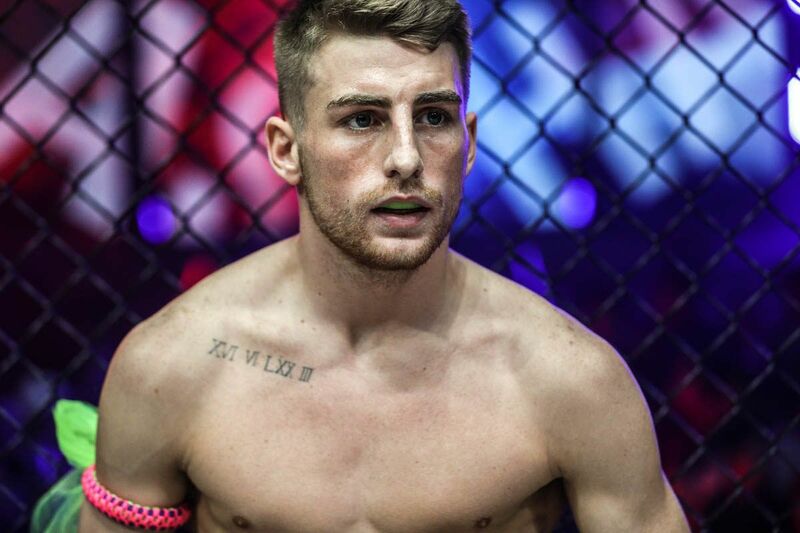 But a minute into the third round, he made a rookie mistake when defending a takedown. That cost him the bout, and brought the first blemish to his record. 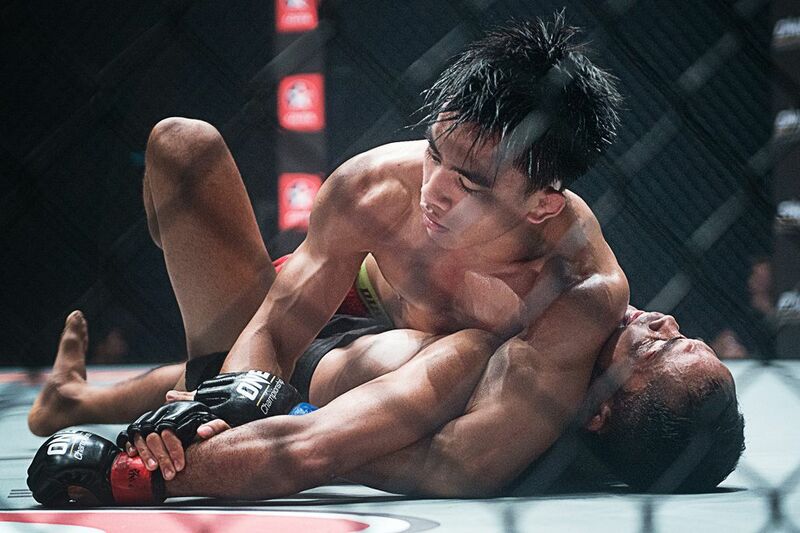 “My game plan was to sprawl and not to go with him to the cage because that is his strength. I was stopping all the takedowns in the center of the cage. He took me down once and did nothing. But when he got me against the cage, he got me in the choke and that was it,” he says with an embarrassed chuckle. 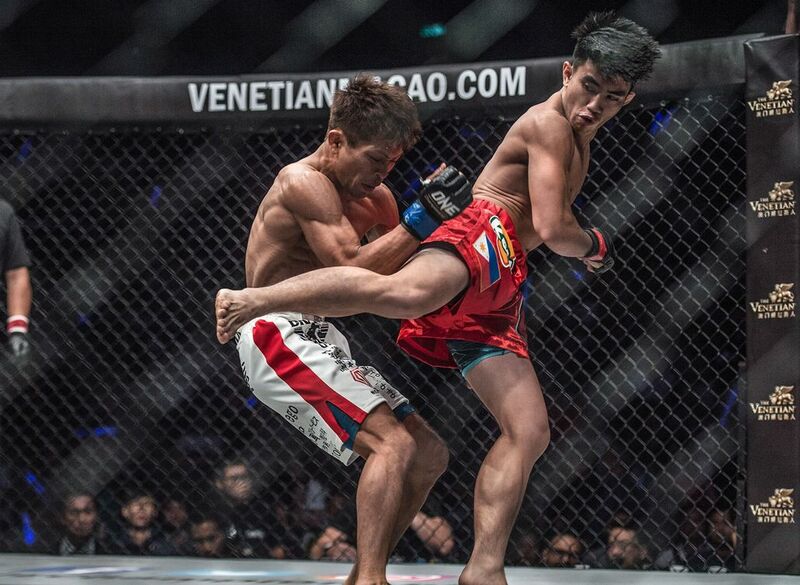 Although he bounced back in impressive fashion in his next bout, taking a split decision win against former ONE Strawweight World Champion and Muay Thai legend Dejdamrong Sor Amnuaysirichoke, Pacio stumbled once again, when he was submitted by Japanese Grachan champion Hayato Suzuki in this first round at ONE: KINGS & CONQUERORS in Macao. 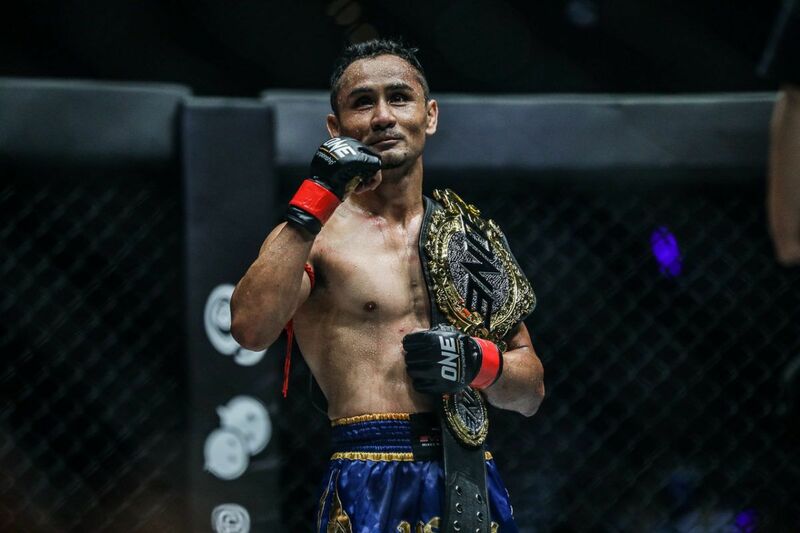 Everyone in the world makes mistakes, even Folayang, who recently dropped his belt to ONE Featherweight World Champion Martin Nguyen this past November. Now, Pacio hopes to learn from his failures and emerge stronger, just like his hero, and realize his dreams of becoming a world champion. Given how much adversity Pacio has already overcome in his young life, there’s a good chance the young Filipino warrior can achieve his goals. 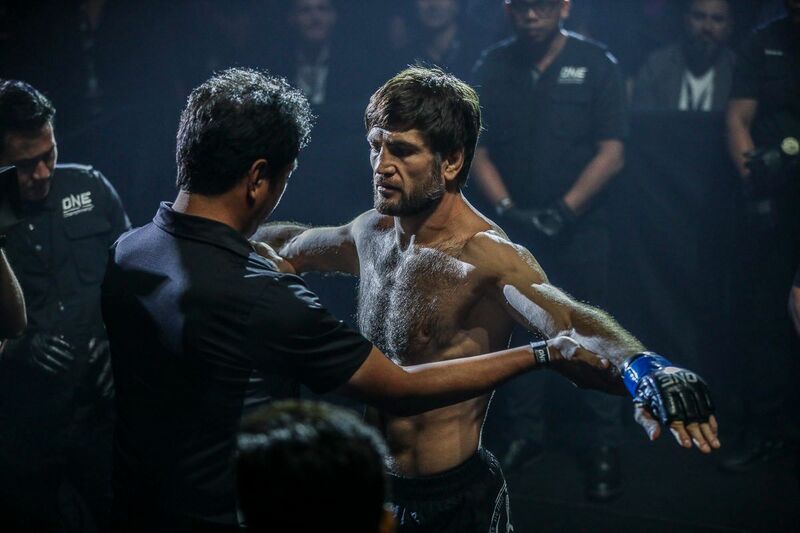 True to his word, he rebounded in impressive fashion, knocking out fellow warrior Roy Doliguez via a sensational spinning back first this past November. Now, all that remains is to see how he performs in 2018.